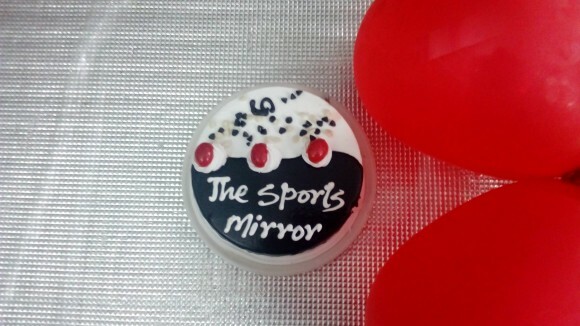 If you’re a sports lover in India, you have to have heard the name ‘The Sports Mirror‘. 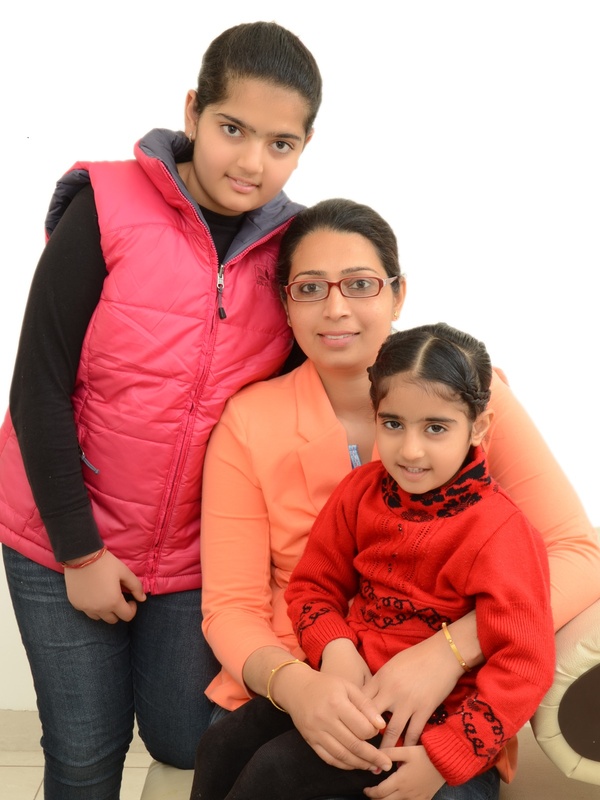 The blog, founded by Vikram and Pooja Kamboj in 2010, is the place to go if you want updates, in depth analysis, opinions and articles about all the major sports followed in India. The USP of this blog is that it cuts through the noise surrounding sports and gives you clear news and updates. The Sports Mirror does stand out from the crowd, and why would it not? It is the winner of the ‘Best Sports Blog In India‘ at the #WIN15 Blogging Awards. 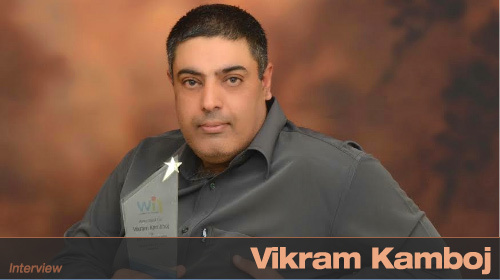 We interviewed Vikram Kamboj, who held up a mirror to the state of sports and sports blogging in India. Q. Firstly, let’s start with your love for sports. How and when did you discover it? From childhood, I was a die hard cricket/tennis fan and I loved poring over the statistics for the major Indian sports. I started reading newspapers and the cricket scores daily and learned about cricket statistics from that. 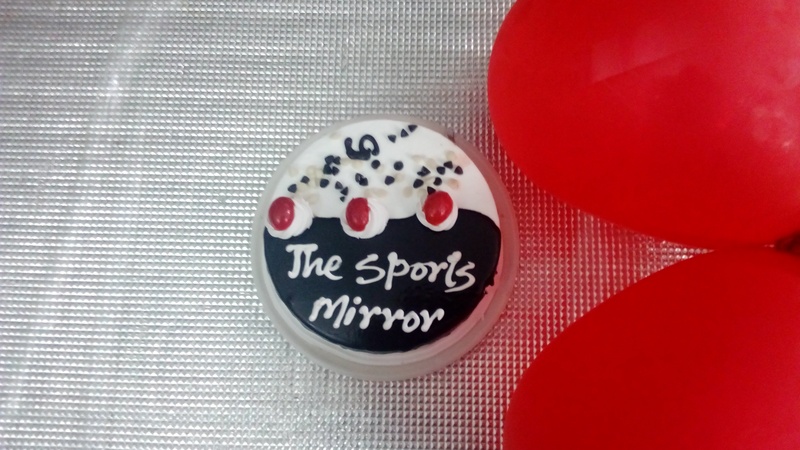 Combining my knowledge and love for sports resulted into ‘The Sports Mirror’. Q. How is sport as a subject received in India? Your take on the good, bad and the ugly? Apart from the rich culture and diverse arts presence, India has tremendous experience and has thrived in different sporting activities. In India, sport is taken as part of the Indian entertainment, culture, traditions and even spirituality. The most popular sport that has taken India to greater heights is cricket. Cricket is a religion and the Indian society is associated with the sport wherever they are across the world. In fact, schools have now introduced sports as one of the important subjects in their curriculum. All this happened after India successfully hosted the 2010 Commonwealth Games in Delhi, bagging a host of medals. Experts on the academic front feel that sports has increasingly started to become a viable career option for students. With the introduction of sports in schools, not only would students be engaged in purposeful pursuits, but also help in the creation of sports infrastructure at the school-level, and its proper utilization. Also make space for more and more awareness on sports in generations to come. Q. What is the objective of your blog apart from providing news and updates? Sports and recreation serve as a catalyst for community gatherings, bringing people together for play, talk and shared experiences. Importantly, sport has a positive effect that reaches many levels of our society, providing an important thread that ties our social fabric. Q. In your journey so far since 2010, which are the biggest milestones for The Sports Mirror? Every field has its leaders. When you’re able to interview a leader, you can garner a lot of respect from others in the field, not to mention huge amounts of traffic. Interviews are unique. No one else has this information – only you. Our two Interviews, one with Fraser Castellino, COO of Kings XI Punjab and second with Troy Justice – Director of Operations, NBA India had a viral effect and lifted our traffic curves to a new level. Q. How much of pure sports coverage and how much of opinion do we see on The Sports Mirror? We mostly write sports articles or reports, occasionally write witty opinion pieces as well. Opinion is substantially different from our typical blog post, mostly due to its tone. The rant or opinion, by contrast, may be stronger and more expressive. Q. With so many sports tournaments going on at the same time, how do you keep track of all the latest developments? We have dedicated writers for each sports tournament and they work in tandem with our editorial team. Q. Take us through the functioning of your blog. How does the team function and what roles do all of you play? Our team comprises of Editor, Writers/Contributors/Bloggers, Designer and Social Media Expert. The editor reviews and posts contributions from bloggers. Writers have the responsibility to write well, pulling together ideas and research in a way that is unique. Designers have good reading comprehension and reinterpret information and text visually for graphics. The social media expert enjoys talking to and connecting with people. Q. Which are the sports that your team enjoys personally? How sporty is The Sports Mirror team? Football is a great team sport and is equally enjoyable to play. I have recently taken up tennis which is a fast paced, demanding and a highly entertaining sport that always leaves me feeling exhilarated afterwards, even if I lose. Competing against one’s own achievements at the gym is another rewarding discipline. Yes, our team occasionally participates in cricket and badminton events. Q. Which are the sports persons who inspire you? Tell us of a memorable experience with a sportsperson. It is not surprising to find the names of the likes of Sachin Tendulkar, Major Dhyan Chand, Vishwanathan Anand, Leander Paes, Milkha Singh in this answer. In a country where the whole nation is all cricket frenzy, Saina Nehwal and Mary Kom got the entire nation glued to the TV screens to watch badminton and boxing. Meeting and spending time with Indian cricket team during 2nd Semifinal of the ICC Cricket World Cup 2011 with the arch-rivals Pakistan at Punjab Cricket Association Stadium, Mohali was a memorable experience. Q. Which have been the biggest challenges for you? There’s no singular path to churning out a solid living at blogging, but from what I’ve experienced myself and heard from peers, it starts out with freelance writing jobs that don’t pay that well at first, but they cover running costs. Then, advertising and affiliate sales come into play. Eventually, with a large and dedicated readership, you can start to charge brands for what you put out there that features their destination or product, especially if you’re making videos or taking awesome photos for your clients. Q. How was the initial year of blogging? How did writing a blog on sports look like then? I had read earlier that blogging takes a lot of hours and now I understand why. In the beginning, it’s all about trying to write for anyone who will let you (or at least that was my tactic), then as the audience grows, so do emails, comments, and the amount of social media accounts one needs to juggle. You kind of have to be a jack of all trades – a great photographer, storyteller, marketer, and CFO. There’s a lot to learn. Q. Is there a schedule you follow for blogging? Or do the blog posts happen based on current sports updates? There is no schedule. Every day is different from every other day. The nature of the job is such that often stories break unexpectedly or situations arise that need to be dealt with quickly. Q. What is a typical day like for your team when you are not blogging? 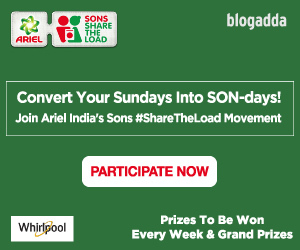 I sometimes write sponsored posts for brands and sometimes get approached by a brand/ professional sports leagues in India who might want me to take part in a multi-channel campaign. For e.g. writing some posts for their website, being filmed for a video, doing some posts for my blog and taking part in web chats. They’re usually quite fun projects! Q. Apart from blogging, what are the other good things in your life that you would like our readers to know about? Teaching and inculcating sportsmanship in my kids. Making them learn the benefits of sports in their day to day lives. Scribbling about my viewpoint on current affairs, updating myself with latest stuff of every genre as I believe extra knowledge is never harmful. Q. What was your reaction on winning the ‘Best Sports Blog’ in India at #WIN15 Blogging Awards? OMG! It’s me! Well! It was supposed to be me. I’m super excited that I won the award. I think that when you write a blog and you recognise that people really like what you are doing and that they have voted for you, it’s a really nice feeling. Thank you to BlogAdda, judges and a huge thank you to my readers. It’s been really great to see so many bloggers and new talent getting the recognition they deserve and we hope that the awards will grow in the future. Q. How do you use social media? 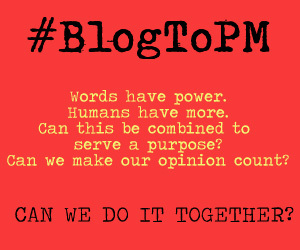 Do you think it’s an important tool to promote your blog and gauge popularity? Still learning, but yes, nowadays it is one of the best ways to let people know about your work. People tend to believe in what social media has to say. They don’t read newspapers these days. They open their Facebook/Twitter accounts to check what all is happening around the globe. So I think there is no other platform that can provide you with this much popularity as much as social media these days. Q. What’s in store for your readers over the coming year? Nothing less than variety and knowledge. Q. One quality that is your strength as a sports writer and your advice to the prospective sports bloggers. To make it a profession, you need to stand out from the crowd without being too abrasive, write with flair without being too flighty, and have a skill of some sort that allows you to specialize without losing the flexibility to write outside your comfort zone. What happens with many bloggers is that they get excited about writing their blog posts and they write a few really good ones. Then, they start tapering off because they don’t get the amount of readers they thought they would. It can be discouraging, for sure, when you’re not attracting the number of people you think you should. Even so, don’t give up. Just like rock stars don’t pick up a microphone and automatically get a record deal, great bloggers are created with time. The more you share your posts on social media, and the more you engage and entertain your readers, the quicker your readership will grow. However, it might take a while. Your patience will pay off, and it won’t be long before you have a nice little following. Trust me. Q. Do you find a connection in the blogger and the journalist in you. How do these attributes differ and how does one balance both? Bloggers and journalists each hold a tremendous amount of value and their contributions are vast. Of course, they are not interchangeable and it is important to be able to take what you can from each and apply it to your content in an appropriate way that will help to improve the content that you are sharing with your readers. Q. Are there any sport bloggers you follow? Who and why? I don’t follow any particular sports blogger but do follow sports blogs: The Roar – Your Sports Opinion, SB Nation, Deadspin, Sportskeeda and Goal. Q. As a founder what are the challenges you face in running a team, managing a company? How do you deal with conservative ideas and break the norms? Well! Honestly I enjoy so many feathers in my cap. It makes me feel more responsible, more ready to work harder and harder. Though it isn’t easy to break the conservative norms and ideas which exist in everyone’s minds since a long time. But yes due to emergence and practice of media in India, it has become easy to deal with the conservative minds. Q. Can you enjoy a sports match like a spectator or is there some sort of analysis and commentary going on in your head? No, not at all. It is just not possible for me to sit quiet while watching a sports match. I ought to be commenting, analyzing and showing off my knowledge while watching the match. It is not easy to stay calm and watch a match. I, by default, become a commentator while watching players on the field. Q. What is your take on the situation of sports in India? India is home to a diverse population playing many different sports across the country. Cricket is the most popular sport. Football is the popular sport in some of the Indian states. The country has won eight Olympic gold medals in field hockey, another popular game in India. Kabaddi, an indigenous sport is popular in rural India. Several games originated in India including Chess, Snooker and other regional games. India has won medals in Badminton, Kabaddi, Hockey and many other sports and disciplines. A career in this field is both challenging and lucrative. Today some of the smartest young minds are engaged in sports and sports related activities. An eye for detail, commitment, hard work, efficiency, honesty and the willingness to excel are a prerequisite for anyone wanting to make it big in this industry. Q. Do you watch sports based movies? Which are your favourites? Unlike Hollywood, the Hindi film industry has not given too many films based on sports, and while a few like the 1984 Prakash Jha directed Hip Hip Hurray, Shimit Amin’s Chak De! India or Rakeysh Omprakash Mehra’s Bhaag Milkha Bhaag come to mind, they have been too few and far between. The Akshay Kumar-Sidharth Malhotra starrer Brothers set the ball rolling for films on unconventional sports. Here’s a lowdown of some of upcoming sports flicks to watch out for. The best sports movies celebrate the powerful effect sport can have on the people that take part as well as those fans who follow the highs and lows. Q. Do you think Bollywood celebrities backing football and kabaddi leagues helps the cause of these sports? Definitely. I really appreciate this step taken by Bollywood celebrities. This not only promotes the sport but also the players of that sport. The fact is that, apart from cricket, no other sport is as famous as it should be. But due to these leagues, other sports are also gaining popularity and a good and respectable place in society. People are also showing lot of interest in them which is again a very good thing. Q. There is a lot of locker room and boardroom gossip that surrounds sports. Were you ever tempted to reveal any such ‘viral’ gossip? Yes, I got tempted to write about sports gossip but never revealed it. Q. Who do you consider your competition in the sports blogging space? You have no competition in sports blogging space! Competing with other blogs in your niche is not in your best interest. Just add value to your blog with a unique voice and style. Q. What are the changes/ innovations you have adopted to stay relevant in the sports blogging genre? A quantity of quality is what wins when it comes to blog content. There’s a lot of competition in the blogging space so it’s important to produce high quality, relevant and sharable content on a regular basis. Provide something your readers can’t find elsewhere and do that consistently. Most memorable sports moment: Meeting and spending time with Indian cricket team during 2nd semifinal of the ICC Cricket World Cup 2011 with the arch-rivals Pakistan at Punjab Cricket Association Stadium, Mohali. The USP of Sports Mirror according to you is… producing high quality, relevant and sharable sports blogs on a regular basis. One comment or reader response that you cherish: I read, value, and cherish each and every comment. Blogging to you is? To express yourself, to motivate yourself to learn new things and share them, and to showcase your work to the world. So that was Vikram talking about the journey of The Sports Mirror, his thoughts about sports in India and about the challenges and accolades he got along the way. Hope you enjoyed reading the interview. Tell us your thoughts on it in the comments section below! This is so inspiring! Vikram has made his passion his work. He is bound to great success and also enjoy his work by virtue of this! Through this interview I got to know more about this amazing and dynamic person. Well done, Vikram. Wish you many more such accolades! Glad knowing so much here and appreciate your love for sports! Wonderful to know a bit more about you Vikram. Great interview and thank you Blogadda for this candid chat! Loved the way you give importance to sports . Parul , who is also on Blog Adda & commented on this post was the first Reviewer from Bangalore to Review my Book : Journey from Guwahati to Machhiwara , which is now in 108 libraries in India , 3 in USA , 15 countries & may be in school where your kids study ! Just tell me name of the school , where you kids go to study ?